Not only do you get lovely tomatoes,fresh greens and berries…. 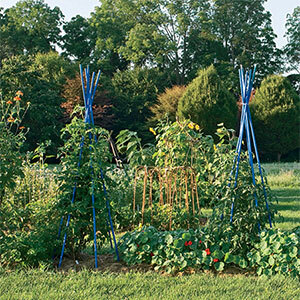 Your backyard organic garden may hold the keys to preventing climate change. Researchers at the Rodale Institute have learned that organic soils trap atmospheric carbon dioxide, a major greenhouse gas, and convert it to carbon, a key component of healthy soil. In the longest-running study of its kind, the Rodale Institute’s Farming Systems Trial (FST) has compared organic and conventional farming side by side for the past 23 years. Important findings have included organic crops’ ability to withstand drought-year stress much better than crops raised on a diet of chemicals.